Just few years ago it was hard to imagine that a possibility to manage CAD files using cloud software. The common message supported by vendors and users was that CAD files are too large for cloud software and engineers unlikely to trust cloud software for IP such as 3D models. But the reality is that already back in 2012, engineering department was one of the major user of services such as Dropbox. Check my earlier blog here. Fast forward in 2016. The situation is changed. Every single CAD and PLM company is providing some kind of cloud software. The number of system capable to manage CAD files using cloud based technology is growing. 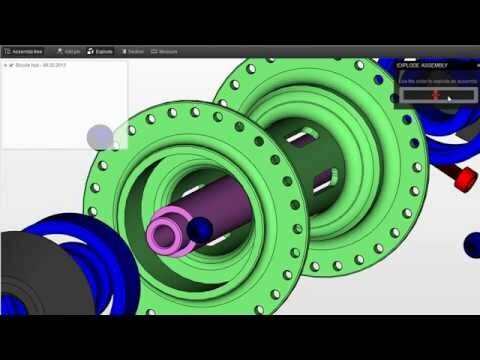 After several years of development, Autodesk finally introduced cloud PDM as part of Autodesk Fusion Lifecycle software. Read Engineering.com article here. You can also check my blog – Autodesk Fusion Lifecycle and cloud PDM expansion. So, I thought this is a good time to talk about cloud PDM competition. I’ve been following cloud PDM topic for the last few years. You can check my blogs here. What products are available in the category of “cloud PDM”? Here is my short list (sorted alphabetically) – Autodesk Fusion Lifecycle, GrabCAD Workbench, Kenesto Drive, Onshape, Solid Edge ST9. I can also add Solidworks xDrive, which was announced but not released (yet). I will give a short review and present some important characteristics of these products. Cloud PDM functions are part of Fusion Lifecycle (formerly known as PLM360). You can manage files, navigate between dependencies and use 3D viewer via web-based user interface. In addition to that, Connected Desktop feature provides you a virtual drive to access files using Windows File Explorer. Mac OS version is not supported for the moment. Cloud PLM is part of Fusion Lifecycle, so there is no need for a special license. GrabCAD was one of the first companies introduced cloud PDM package. GrabCAD Workbench was originally released as a separate product in addition to popular GrabCAD community. Some time after the acquisition of GrabCAD by Stratasys, GrabCAD made Workbench available for free. GrabCAD Workbench is integrated with several CAD packages. Solidworks is one of them. I didn’t find a list of supported plug-ins on GrabCAD website. Kenest Corp is a company founded by Mike Payne (co-founder of PTC, Solidworks and Spaceclaim). Kenesto Drive is a simple cloud-based document storage and management system positioned by Kenesto as an alternative to expensive and complex PDM/PLM systems. Kenesto Drives is an application accessible from Windows File Manager as well as web browser and it allows to track changes of files and access CAD information from a single master file located in the cloud. It provides viewer for 3D, 2D as well as Office file formats. Onshape is full-cloud based CAD system. You might ask me how is that connected to cloud PDM? Here is the thing. Onshape is developing a fully blown cloud design data management platform. Read my blog – Onshape quietly developed Google Drive for CAD. Cloud PDM functionality is embedded inside of Onshape CAD. Onshape document is a storage container that can be used to store other files as well. You can upload 3D CAD files, drawings, office document, pictures and other files. Onshape is providing version control for these files. Onshape interface is web based. Also Onshape has mobile application which allows you to access information from mobile devices. 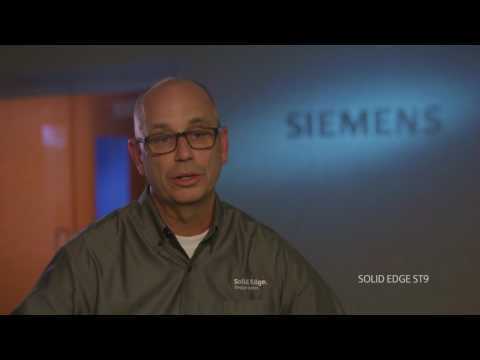 Few months ago, Siemens PLM announced SolidEdge ST9 as cloud-enabled CAD system. Although SolidEdge is a desktop application, ST9 is using cloud to manage licenses, system configuration as well as share CAD files using Dropbox or other cloud CAD storage. Because of embedded data management functions, SolidEdge ST9 can support some of cloud PDM scenarios. Check my blog for more information. Solidworks announced Xdesign and Xdrive some time ago. The website is here. However, not much is known about these systems. You can check-out my earlier blog for some previews I captured during Solidworks World 2016. What is my conclusion? Cloud PDM competition is heating up. Cloud can provide a very unique opportunity for CAD vendors to simplify CAD data management, which is considered by most of engineers as a necessarily evil. Check my earlier blog with information about average cost and duration of PDM implementations. It will be interesting to watch future trajectories of cloud PDM and how they will impact competition in CAD world. Just my thoughts….